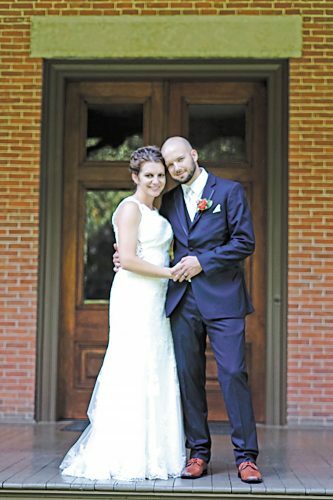 Hanah Blyss Kocher and Shawn Kley Wilson exchanged wedding vows May 9, 2015, at St. Joseph Catholic Church, Tiffin, with the Rev. Joseph Szybka officiating. A reception followed the ceremony at Meadowbrook Ballroom, Bascom. Hanah is the daughter of Steve and Lynn Kocher of Bucyrus. Shawn is the son of Christine Wilson of Tiffin and the late Robert J. Wilson. 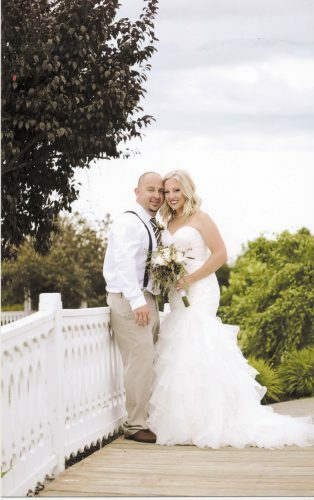 The bride’s mermaid gown was designed by Sherri Hill and Henri’s Cloud Nine. The bodice was vintage lace with French sequins, Swarovski crystals and horizontal bugle beads. The v-neck was encrusted with Swarovski crystals with a mirrored back. The two-tier skirt had multiple layers of silk organza with a 40-inch train. She carried a bouquet of dahlias, hydrangeas, rose buds and garden roses in shades of pink and white. 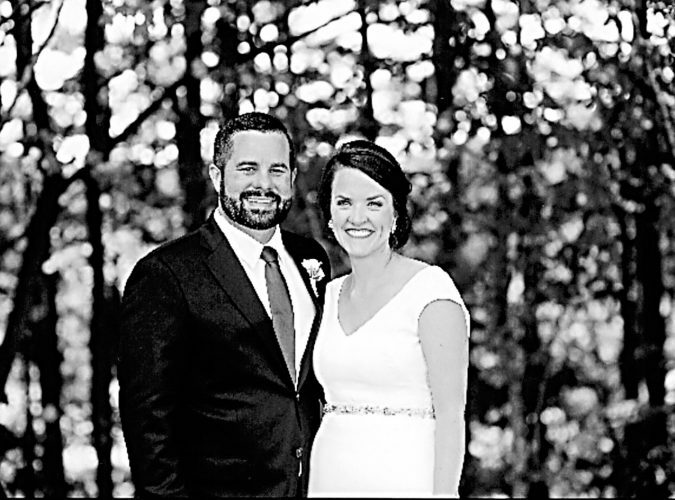 Serving as matron of honor was Sara Lather, sister of the groom. Bridesmaids were Stephanie Simpson, sister of the groom; Gina Lucius, Mandi Stephens and Stephanie Marlowe, all friends of the couple; and Shannon Miller and Brooke Miller, cousins of the bride. They wore light pink, one-shoulder gowns and carried bouquets similar to the bride’s. Serving as flower girl was Quinn Lather, niece of the groom, wearing a white organza dress accented with a light pink ribbon. 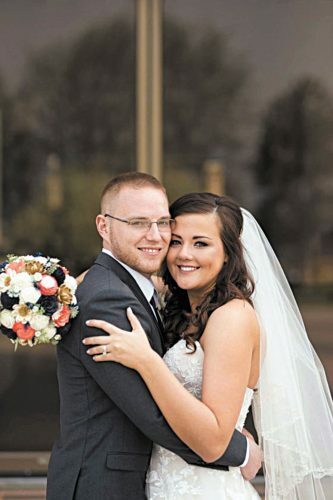 Serving as best man was Steven Kocher, brother of the bride. Groomsmen included Phillip Borer, Dan Lutz, Jon Raitz, Nick Lucius, Drew Hanley and Matt Pastorella, all friends of the groom. They wore black fitted suits with silver ties and suspenders. Jackson Sutherland, cousin of the bride, served at the ring bearer, wearing black pants, white shirt and pink suspenders and bow tie. 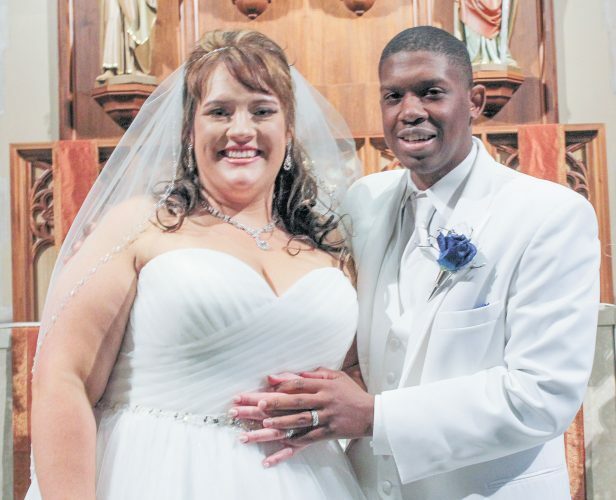 The bride is employed by Calvert Elementary School as a first-grade teacher and the groom is employed by Toledo Molding and Die, Tiffin, as an MP&L analyst. Shawn and Hanah Wilson reside in Tiffin.